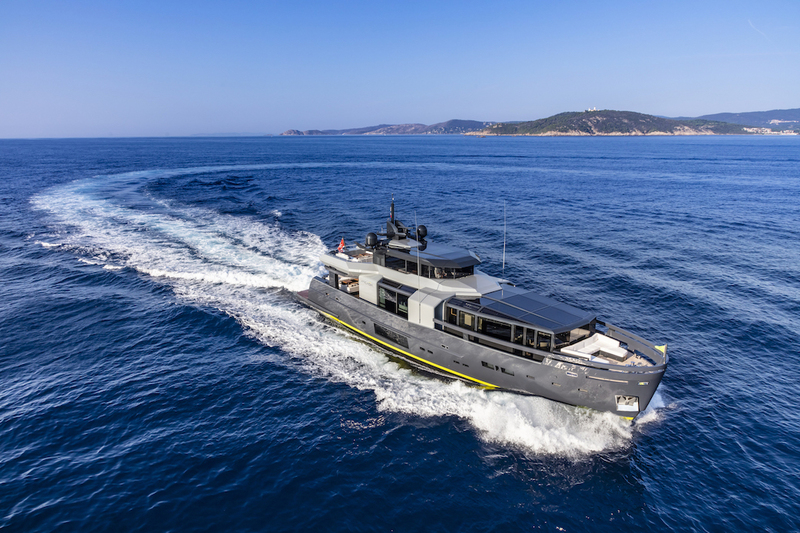 Making her debut at this year’s Cannes Yachting Festival, the A105’s chiselled masculine lines underpins Arcadia Yachts’ core vision in the development of this model. 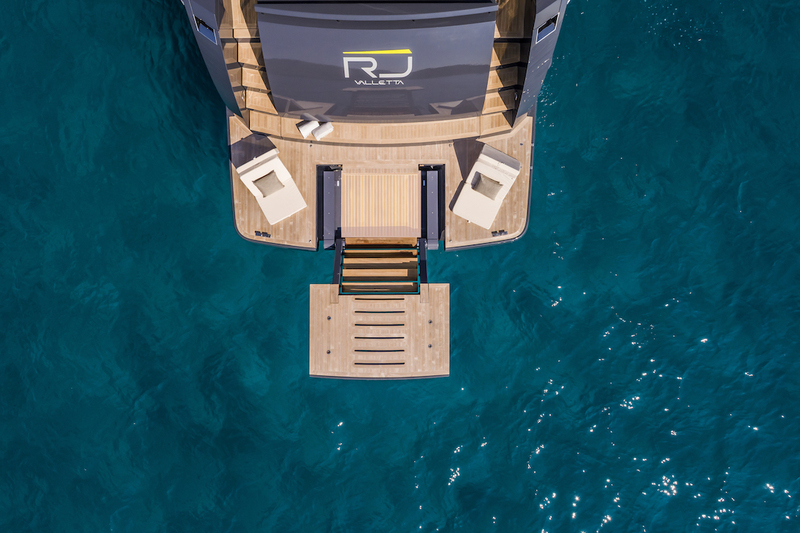 The extension of the interior and exterior spaces – objective and perceived – is the underlying concept of the A105 yacht, which in results contact with nature and the surrounding world. Large apertures reduce the need for air-conditioning, solar panels integrated into the superstructure, as do the extensive use of cutting-edge, highly efficient thermal insulating glass. Creating a sense of conviviality remains one of Arcadia’s core values. 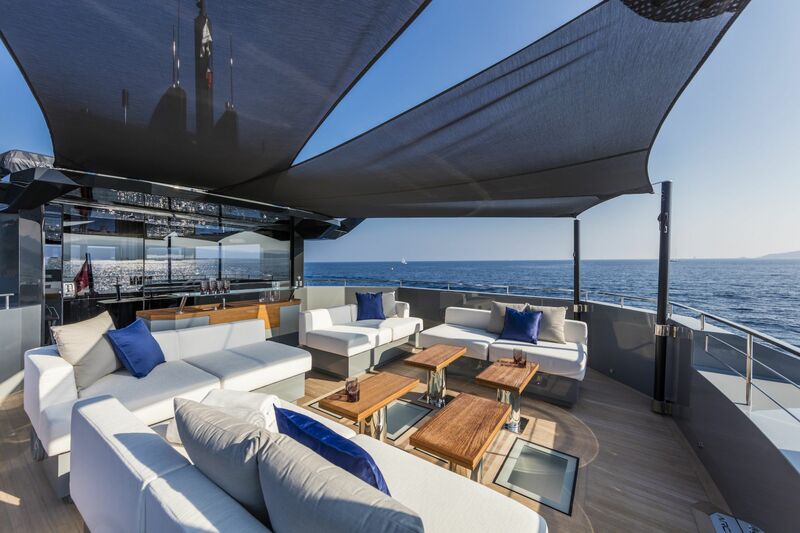 The aft deck aboard the A105 can comfortably seat up to 10 people for a formal dinner, while the lounge area has space for a further 12 guests. The latter can also convert to a further dining area, offering the Owner the possibility to having more than 20 people aboard to dine at once. The upper deck offers 65-square-metres in relaxation space. The convertible sky lounge can be used 365 days a year thanks to its large windows, and opens aft towards the sun lounge. 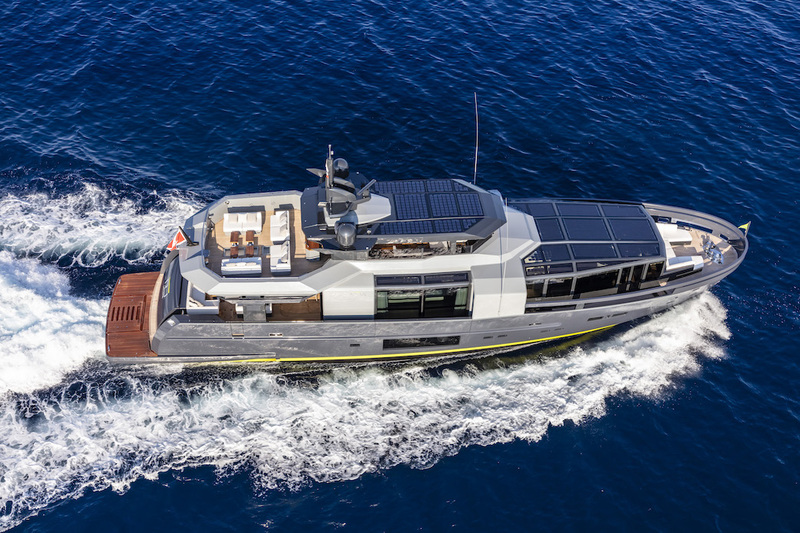 The A105 is the third yacht that her owner has had built by Arcadia in 7 years. “Choosing us again for the third time is the best possible acknowledgement of our work and of the trust established over the years with the owner and his entourage,” declared Ugo Pellegrino, Director of the Italian yard. The style of the interiors is clean and sober, yet rich in details and materials. The main saloon features dark carpeting, is dedicated to welcoming guests, while the lighter colour of the floors and ceilings along the side very naturally mark them out as passageways for moving about aboard. 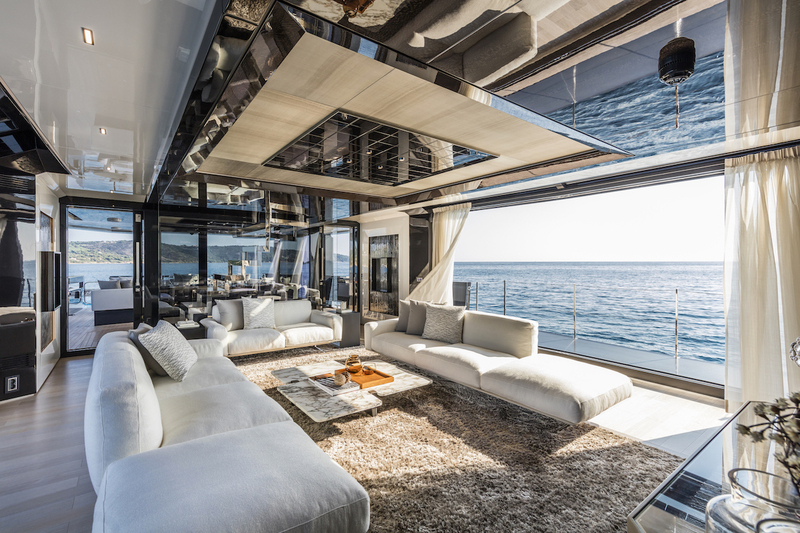 The entrance to the living room from the aft-deck is crossed by a transversal glass wall. The master cabin is accessed via its own stairs, while the owner chose two large VIP cabins with transversal beds and a guest cabin from the various options available for the guest quarters. The A105 is powered by two 1000 horse-power MAN V8 engines. 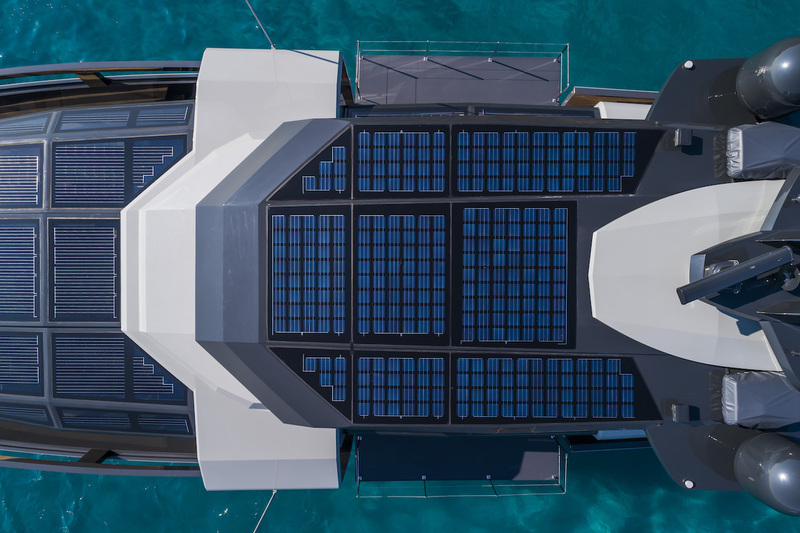 Integrated solar panels reduce generator. This advanced, eco-friendly 36-square-metre system of panels, each comprising hundreds of photovoltaic cells, yields a power output of 4.2 kW. This is enough energy to power many different electrical appliances and units, including fridges, water pumps, WCs, lights, A/V and electronics while the batteries recharge.